Jack, having survived his first night in Australia staying in the infamous Hindley Street, journeyed northwards the next day to take up duties as a Farm Labourer with a Mr Gottfried Wittwer of Florieton, near Point Pass in South Australia’s Mid-North. Gottfried and his wife, Emilie Marie Auguste (nee Henschke), were staunch Lutherans and their third child, Emilie Auguste was born at Eden Valley and baptised by Pastor Hensel in St. Peters Lutheran church, Eden Valley on 5th February, 1865. At 15 years of age, Emilie was well educated for a young woman of those times and could write and speak both German and English fluently. She also possessed a very powerful singing voice, and it was only a short time before she caught Jack’s eye. Jack and Emilie were married on 30th March, 1880 in the Lutheran church at Point Pass, in the Hundred of Bright. Pastor Hansen officiated at the marriage and their witnesses were J L Hensler, teacher, of Point Pass and G Schild, farmer, of Point Pass. Emilie was 16 years of age and Jack was 28. Mr Wittwer was a fairly wealthy man by the standards of the time and as a dowry he gave Emilie £200.00 – the equivalent of several years’ wages back then. In 1881 they purchased a section of 172 acres of land at Emu Gully Flat in the Hundred of Lindley, near Morgan for £172 plus £17/6/- taxes. The block was virtually virgin land, so Johann and Emilie named it “Swamp Farm” and this became the hub of all the outlying properties which were to follow. The land was purchased through Elder’s G. M. and also included a German wagon and two draft horses. In the beginning Jack and Emilie lived in a Dugout, which they mined out of the ground. They lived there for some time, until the farm was consolidated. (The remains of the dugout were still visible in 1977). Emilie worked hard, grubbing stumps and clearing the land along side of Jack, working just as hard as any man – a far cry from the well educated gentle girl he had married. Apparently she wrote notes every day to Jack – whether to keep her own skills sharp, or to help teach Jack to read and write English, or simply as a way of communicating, is not known. 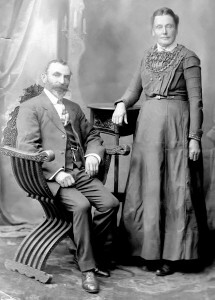 As time passed Jack and Emilie’s family increased on a regular basis, and Jack himself would attend his wife’s confinements as there was no medical assistance available at the time. 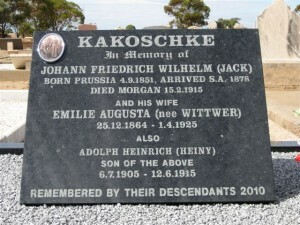 “There is the eldest Jack (also known as Hermann), who married a Meyer girl and went to Lameroo to live. Then came Martha, who later married Jack Hempel, then Millie, who married Larry Hewitt, Bill, who married Mary Hempel, Fred, who married Rose Sellars, and Edie, who married Gus Briese. Then comes Selma (Zellie) who married Jim Leedham, Gus, who married Daphne Wall, and Lizzie, who married Jack Stewart. Walter, who married Edie Hempel and later Natalie Sansom, then Hilda, who married Ted Hartwig, Ernst, who married a Bundaburg girl Myrtle Jorgenson, and Elsie who married Jack Bath, and Rudy , who married Dorothy Harrison. Then I, George, came next, and I married Hilda Harrison, then Heinie, who died from blood-poisoning when a boy, and finally Edward, who died as a boy also. We were a family of seventeen living children. As an infant, Hannah Amelia who was born after Martha, only lived fifteen days. To help provide an income, Jack used to fish the River Murray between Morgan and Renmark, leaving Emilie and the children to run the farm. The Murray no doubt reminded Jack of the River Oder back in Prussia where he grew up. By all accounts he was an accomplished fisherman and was the first person on the South Australian section of the River Murray to send fish to the Melbourne Market. This fact is noted in a book published about life on the river in the early years of it being settled. 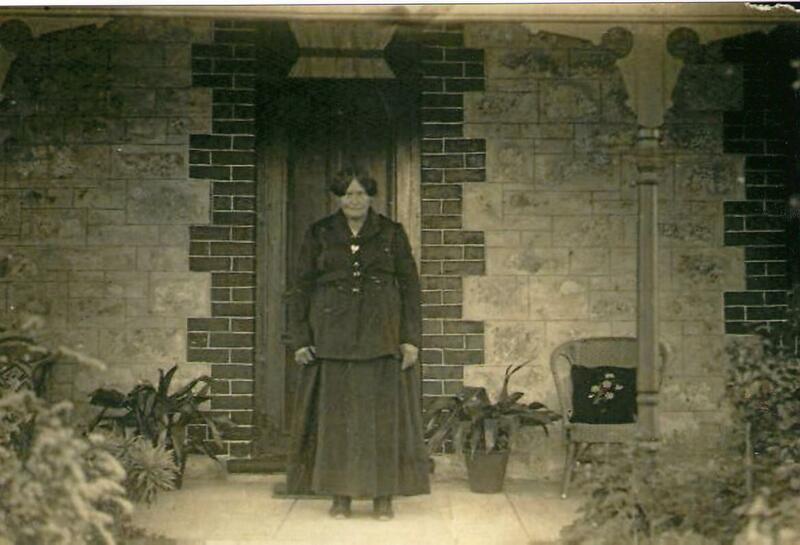 Jack passed away in the cellar at Swamp Farm on 15th February, 1915, during the 1914~15 drought. By this time Emilie had born eighteen children, losing only one, which was quite remarkable for those times. She had lived a life of hardship and deprivation, common for those times and especially that particular area of South Australia. She’d enjoyed few comforts and had had no spare time to acquire or cultivate any friendships during her years on the farm. Four years after Johann died, the sons realized that the farm was no longer the place for their mother to be living, as life had taken its toll on her and the children and their families were all gradually moving away, or making homes of their own. No longer able to run Swamp Farm properly, it was sold and Emilie moved into Morgan. There she rented a house and soon was living in what must have been “luxury” for her. 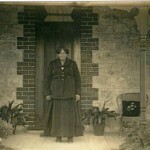 As a means of income, Emilie provided meals for workers in the district, and in 1922 she purchased a cottage of her own. She was very well respected in the district, and had finally found time to cultivate friendship. Emilie invited her dear friend to come and live with her for companionship, and so son-in-law Jack Bath and son Ernie, built a new room onto her cottage. Sadly, the week before she was to go to Adelaide to pick out the furnishings for it, she collapsed and died in the Morgan Hospital. The date was the 1st April, 1925. Emilie was buried at Morgan Cemetery, not far from Johann, and indicative of the harsh, comfortless life she had led, was taken to her final resting place on the back of a truck, as there was no hearse available at the time. Footnote: Attribution for much of the text in this chapter belongs to authors unknown, but probably includes Rodney Kakoschke, Lincoln Kakoschke & Kevin Kakoschke.